Photograph of nautch dancers at Hyderabad in Andhra Pradesh, taken by Hooper and Western in the 1860s, from the Archaeological Survey of India Collections. 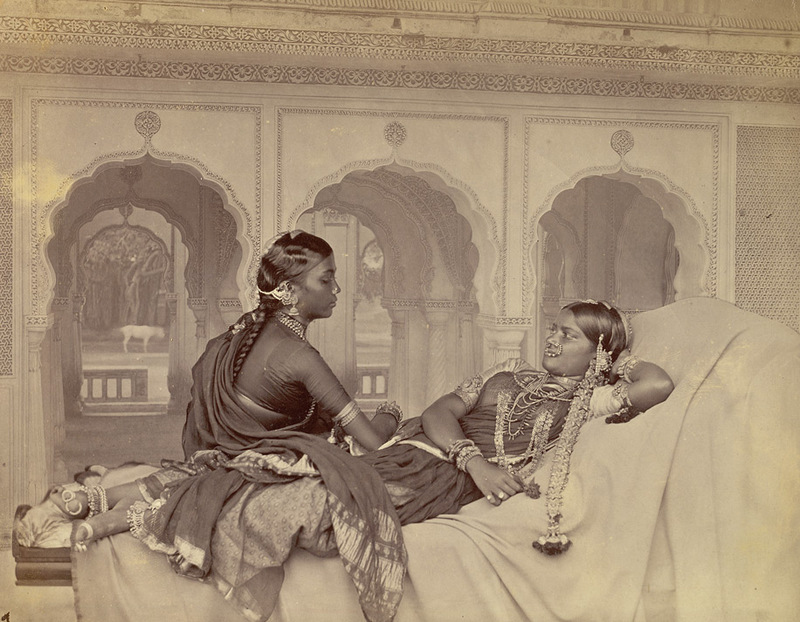 This is one of a series of photographs commissioned by the Government of India in the 19th century, in order to gather information about the dress, customs, trade and religions of the different racial groups on the sub-continent. Images like this one were exhibited at European international exhibitions during the nineteenth century. The girls in the photograph are wearing the dancers' traditional jewelled head-dress and anklets of small bells. The reclining girl also has a jewelled sheath covering her long plait.